Tile Flooring is a classy way to finish off or visually enhance any remodeling project. Tiled floors are generally easy to clean and maintain and are excellent for high traffic areas of your home or place of business. Alone Eagle Remodeling has over 15 years experience laying custom tile flooring, and shower or bathroom walls. 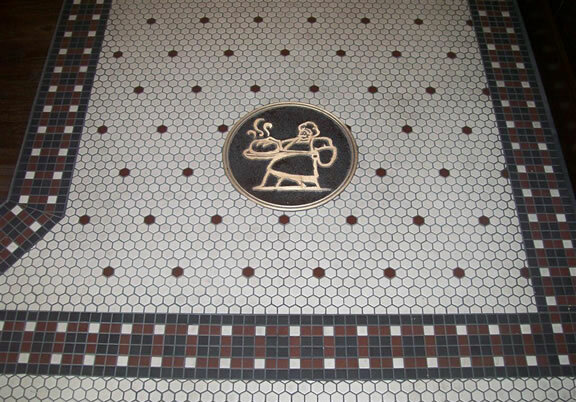 A well tiled floor makes a great first impression. There are hundreds of colors, patterns and textures available which makes it easy to match tile with any existing decor. Great Value – Tile flooring adds to the value of any building, and needs almost no maintenance aside from the normal cleaning. Tile flooring is more durable than carpet and typically lasts quite a bit longer. Durability – Ceramic tile, properly selected and installed, maintains its original qualities and lasts longer than other flooring options. Dual Tone Tiles – The contrast of colors with dual toned tiles is a very popular look and helps make your floor or wall area really stand out. Usually dark and light shades of a similar color looks really good when used together. Alone Eagle Remodeling can provide you with many tile samples until we get the look just right. Tile Flooring and Custom Tile Laying Projects are a signature service of Alone Eagle Remodeling. With over 15 years experience with custom tile work you can rest assured knowing your pr0ject will be in the hands of a qualified craftsman. If your home or place of business needs some custom tile work completed and you’re ready to start speaking with potential contractors, please give us a call or fill out our form to request your estimate.